New filling materials have been available for quite some time but, in many dental practices, amalgam remains the norm for dental fillings. Not at Santa Monica’s Brightleaf Dental! · Reactions are rarely seen with white fillings because they contain no metal. · Composite fillings have little to no movement, cracking and breaking rarely occurs. This type of filling bonds well with the tooth surface, preventing bacteria and food from becoming trapped. · Invasive procedures are not necessary to repair your tooth with a white filling. · Tooth colored composite fillings closely match the natural color of your teeth, unlike metal fillings, which are silver and very noticeable. Most will never know you had a repair done on a tooth filled with composite material. · Less removal of healthy tooth (less drilling!) because the composite fillings are bonded directly to your tooth and do not require your dentist to drill a hole for the filling to sit in. If you have worried about the old fillings in your teeth and are interested in replacing them with more natural looking materials and improving your overall smile, then it may be time to arrange a consultation with Dr. Ana Brihtleaf at Brightleaf Dental. A complimentary consultation will allow you to discuss what the options are and how modern fillings can benefit you and your teeth. New filling materials have been available for quite some time, but, in many dental practices, amalgam remains the norm for dental fillings. Not at Santa Monica’s Brightleaf Dental. Not only are metal fillings unsightly, they contain mercury. Mercury is a controversial product. While it is a naturally occurring element, it is a toxin and some believe it can cause environmental and health issues. Additionally, some patients react to the metal fillings. While the debate over the safety of installing mercury in your mouth continues, it is a fact that metal fillings expand and contract with hot and cold. This constant movement creates spaces between the tooth surface and the filling leaving your tooth vulnerable to decay. Over time, this movement can crack the tooth causing it to break apart. These spaces and cracks can expose nerve endings that can cause pain when eating and drinking. Broken teeth with exposed nerves are incredibly painful and need immediate attention from your Santa Monica dentist, Dr. Ana Brightleaf. 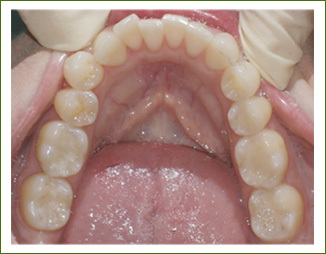 Composite fillings have little to no movement,cracking and breaking rarely occurs. This type of filling bonds well with the tooth surface, preventing bacteria and food from becoming trapped. Tooth colored composite fillings closely match the natural color of your teeth, unlike metal fillings, which are silver and very noticeable.. Most will never know you had a repair done on a tooth filled with composite material. We avoid using products containing metals to protect you and your family from any potential dangers associated with metals. We take pride in providing a safe and comfortable holistic dental environment for your health and well-being.